Out of stock since Monday, 25 March 2019. Due back Friday, 30 August 2019. The HyFOOTWEAR Wax Leather Jodhpur Boot is a hard wearing, comfortable, everyday riding and yard boot with cushioned insole and steel shank to give maximum ankle support. Constructed using waxed water resistant leather combined with a hard wearing TPR sole. 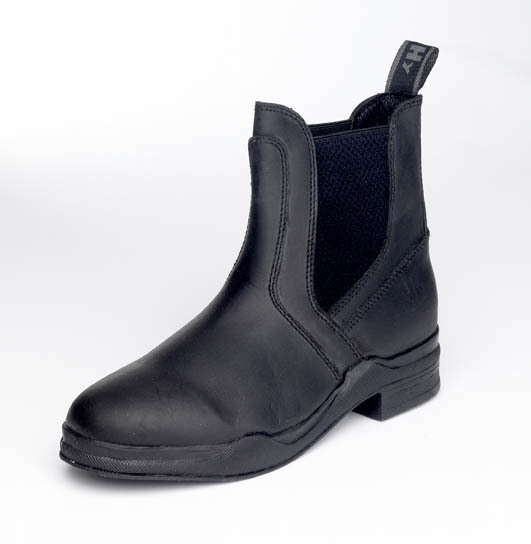 A practical pull on jodhpur boot with elasticated side gussets. There are currently no questions for HyFOOTWEAR Wax Leather Jodhpur Boot - be the first to ask one!